Meijer: MONEYMAKER or FREE Chobani tubes, 8pk! I LOVE SHOPPING AT MEIJER!!! Ok now that I have that out of my system, I went in this morning for my freebies. I bought my daughter a pair of sneakers, used my $5 catalina from last week and got the $2 produce and $2 daily coupons everyone is talking about!!!! I went back in and saw that the kid's Chobani Greek Yogurt tubes are $2.99. There is also a $1 Ibotta rebate, plus on the boxes there was a $1 peelie coupon!!! If your box does not have the peelies, they will still be free after store coupon and Ibotta!!! Also received another $2 dairy and $2 produce coupons! It also counted 50% toward's a $1 bonus! 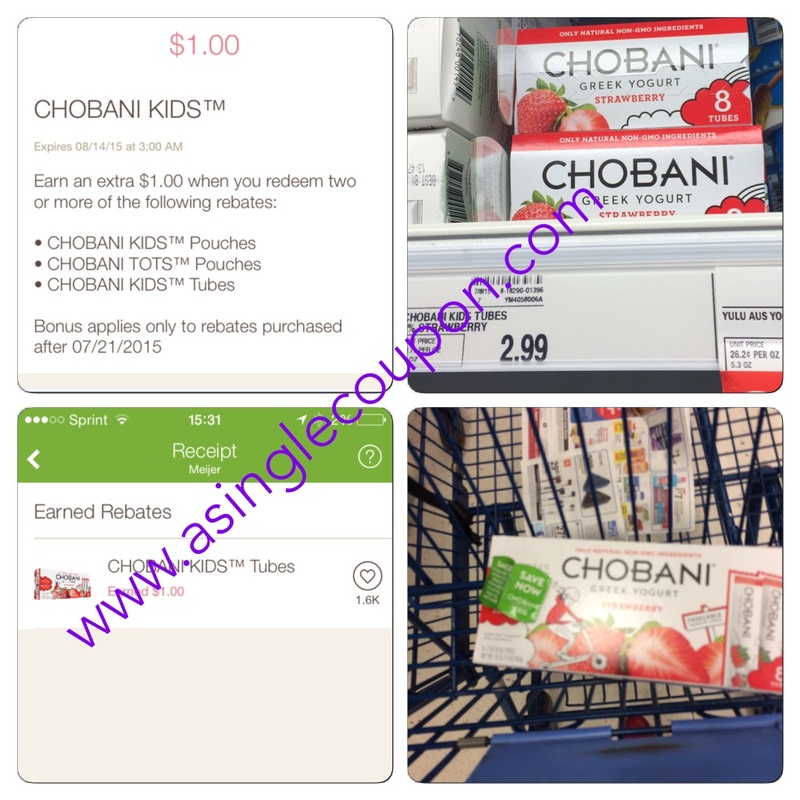 QUESTION: Do any of you know how much the Kid's Chobani Greek Yogurt pouches 4ct are?